He formed the Order of the Grain of Mustard Seed. Their purpose was fourfold: To witness to the power of Jesus Christ, to draw other Christians together in fellowship regardless of their ecclesiastical connections, to help those who were suffering for their faith, and to carry the gospel of Christ to those overseas who had not yet heard. 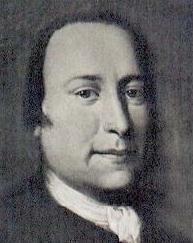 He became the father of the modern Moravian Church. ‘Midst flaming worlds, in these arrayed, with joy shall I lift up my head. Oh, let the dead now hear thy voice! Now bid thy banished ones rejoice! What incredible blessing and good came to God’s church and His world through the ministry of a praying mother!